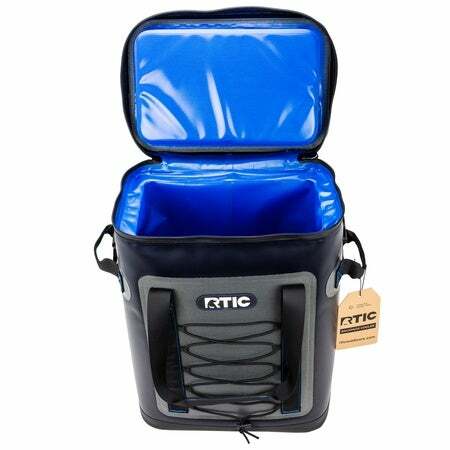 ROOMY - The RTIC Backpack Soft Cooler will keep you items cold for days as it is built with premium insulation. 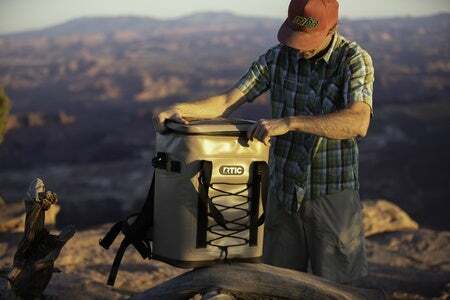 This backpack cooler will hold 30 cans and a bag of ice and keep it cold all day long on the hottest day you've got. HANDS FREE - The cooler straps comfortably to your back, leaving both arms free to grab your surfboard, fishing pole or any other gear your adventure calls for. 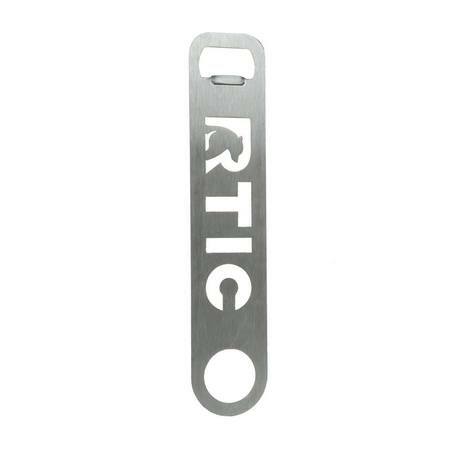 ACCESSIBLE - Our zipper-top opening makes it easy to access whatever's in your cooler. 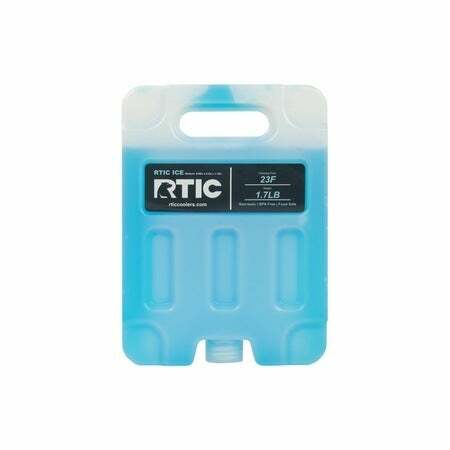 COMPACT - It's hard to imagine not using your RTIC Backpack Cooler, but in those cases, store it easily until the next adventure, or pack it up for traveling to your next basecamp. 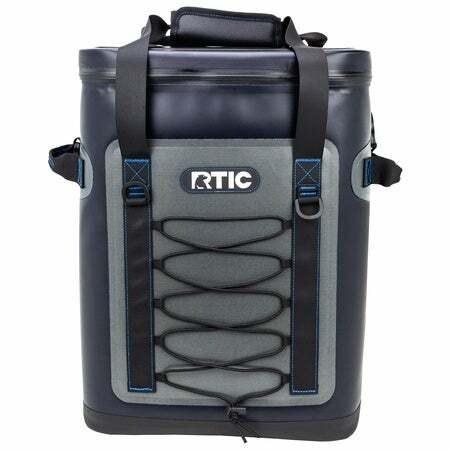 IT FLOATS - Along with keeping your drinks colder than cold, RTIC Backpack Coolers are built with welded seams, so they're waterproof through and through. The huge bonus to being 100% waterproof: each cooler can float right along with you. This is just about the coolest thing that I have gotten in a while. I have a hard cooler, and I love it! But, it has limitations. For one, if I am hiking in to tailgate with some buddies, it is a lot to carry. But, RTIC got to work on this baby and BOOM...problem solved! The first thing I did was run out and put about 12 beers in it and ten pounds of ice. I just wanted to see how it would handle the weight. It was magnificent! 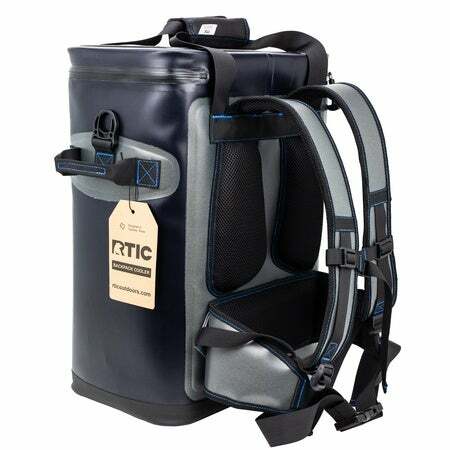 The thing is so well designed that you can put all kinds of drinks in there and carry them as far as you need to go! Yeah, ice is heavy, but this sucker takes the weight and spreads it over a surface area that makes it manageable. Wonderful design. And, it keeps ice for a VERY long time...days of ice cold beer! In short, this is all you want in a cooler backpack! I can't wait for my next outing here at Texas A&M...my backpack is coming with me! Dr. W PS. My wife also tried it out, and she loves it too! No problem managing the weight! Got this for my hubby! He is very happy with my purchase. Had been using an older rolling cooler that was not even near the quality of this backback. He does not even miss the rolling cooler as this keeps things much cooler over the span of several days! 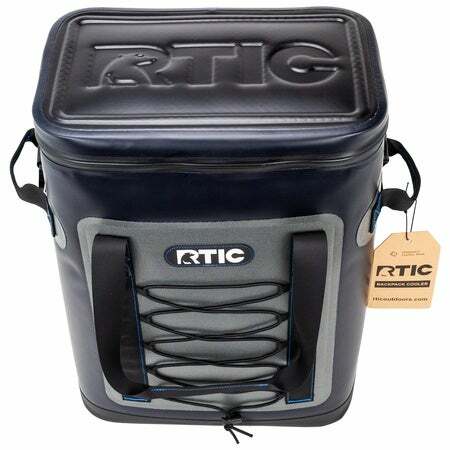 Have loaded it with a 30 pack with ice held up very well was surprisingly comfortable held ice for a couple of days and for bout 90 bucks “WOW” nothing else to say. Cooler is a beast for it to be a soft pack. Love that ot can be carried on back. My wife even totes it. Ice stays in for days, it's not heavy, and waterproof. Plenty of pads to help support it. 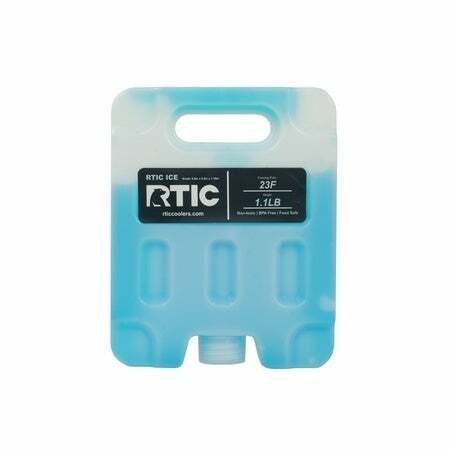 Recommend for anyone that does not want to carry the hard sided coolers just for a day or two trip to beach. Couldn’t be happier with this product. We will see how it performs in the Savannah heat over the summer, but for now it’s a great deal and superbly overbuilt for the price! I have very mixed feelings on this backpack. I received the overpriced primary competitor’s backpack as a gift from my wife and promptly returned it for this one at nearly one third the price (on sale). 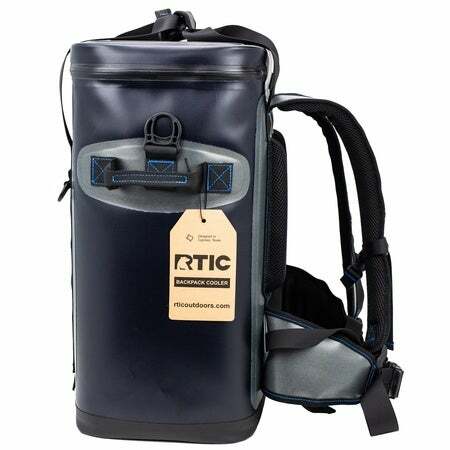 Despite the much lower price, the material on this RTIC backpack is arguably nicer, the insulation appears to be roughly twice as thick on the sides and top, and the padding on the shoulder straps, hop straps, and on your back is MUCH thicker. 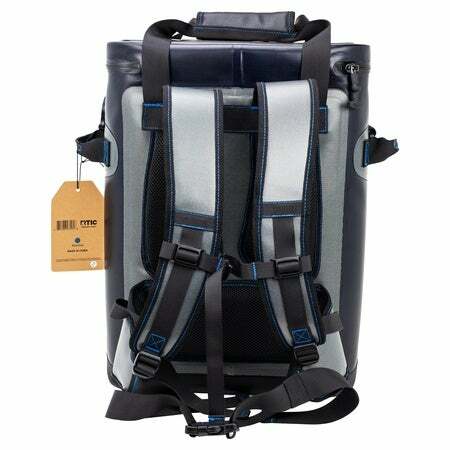 This is a very high quality backpack at any price! Unfortunately I feel the bulk of this backpack is a misstep however. On paper it looks a little larger than the competitor but in person it feels MUCH bulkier. 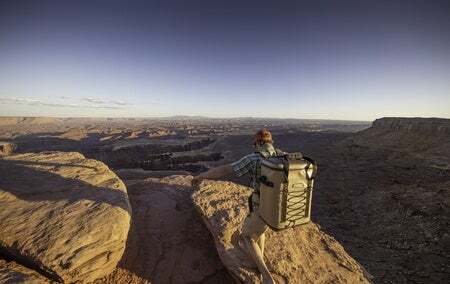 It feels designed for a multi-day adventure but I cringe at the thought of having that much weight on my back for anything more than a short walk. I’m very hopeful to see a (little) smaller model of this backpack in the near future as it really has a lot of things done right. The other tweaks I’d like to see would be a handle on the top instead of the two carry straps that come together and the handles on the sides would be much more useful if they were up near the top. Also, the positioning of the (nicely padded) hip straps seems off. I am 5’7” yet that strap seems to ride directly across my belly button. Aside from that, I think this is a backpack that would be much better for someone a lot taller than myself. Bought the tan one when they first came out with the 2nd generation. Build quality is top notch and the welded seams are nice. 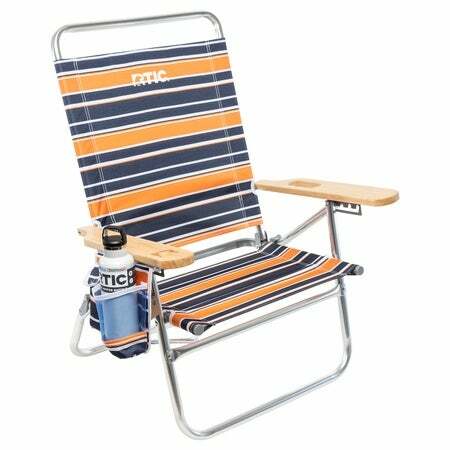 Pretty substantial in size but also comfortable using the adjustable straps.